David Patton is a Family Law Specialist as certified by The State Bar of California Board of Legal Specialization, limiting his practice to family law exclusively. He heads the firm’s family law practice. Mr. Patton has 30 years experience as a trial lawyer, spending his early years focusing on insurance defense and plaintiff’s personal injury cases. After co-founding Lonich Patton Ehrlich Policastri in 1994, Mr. Patton developed the firm’s family law practice. Since then, he has become one of Silicon Valley’s top family law attorneys. Mr. Patton is a certified family law specialist. Only attorneys certified by the State Bar of California Board of Legal Specialization may represent themselves as such. Mr. Patton delivers valuable trial experience and cost management to the firm’s family law clients. He seeks settlement whenever possible. However, when a reasonable settlement cannot be reached, he draws upon his strong litigation and trial skills to obtain excellent results for his clients in court. Mr. Patton was born in Oakland, California in 1960. He is a fifth generation resident of the State of California. Mr. Patton attended Skyline High School, where he was captain of the Skyline ski racing team. After graduating from high school, Mr. Patton attended the University of California at Berkeley. While at Berkeley, he spent a year in France where he attended the Political Science Institute branch of the Sorbonne in Paris. He was also president of the Sigma Alpha Epsilon fraternity. Mr. Patton graduated from Berkeley with two Bachelor of Arts degrees in 1983, and then attended Santa Clara University School of Law. While at Santa Clara University, he served as an editor of the Santa Clara Law Review. He also spent a summer working for a law firm in Singapore, and attending the University of Singapore Law School. 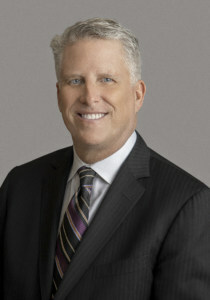 Mr. Patton graduated from Santa Clara University School of Law in 1987. When not at work, Mr. Patton enjoys participating in sporting activities, including ski racing, scuba diving, golf and volleyball, as well as attending Cal Bears football games. He also enjoys travel, and has traveled extensively throughout the United States and abroad. Mr. Patton is a member of the Santa Clara County Bar Association, where he is a member of the family law section, and the State Bar of California. He is admitted to practice in all California Courts, including the Federal District Court and U.S. Court of Appeals. Mr. Patton has been appointed by the Santa Clara Superior Court to act as a judge pro-tem (volunteer judge) and arbitrator. He has acted as a private judge and mediator as well.